About Dexter Cattle & the beef they produce. The Dexter is the smallest breed of cow in the world. They are brilliant mothers and rear their calves in an close herd status where they are always at play and can find mischief in any hills, tree stump or head butting sessions with their mothers. The Dexter breed originated in southwestern Ireland from which it was brought to England in 1882. 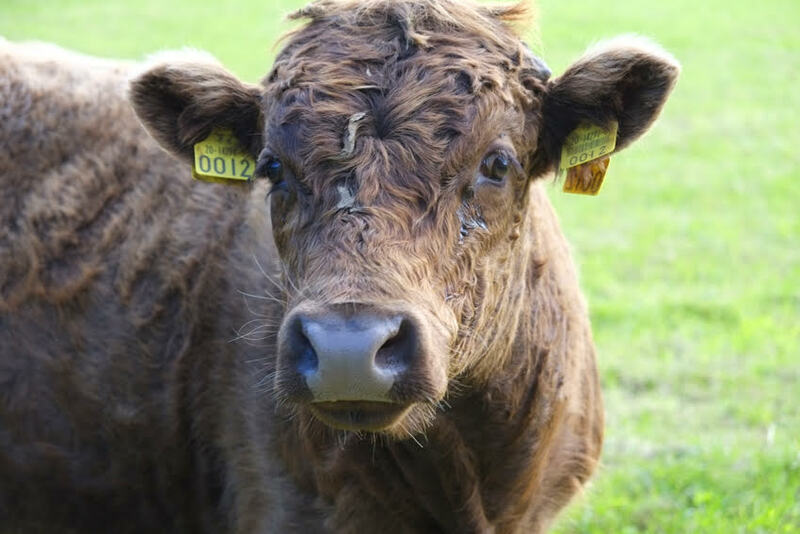 The breed virtually disappeared in Ireland, but was still maintained as a pure breed in a number of small herds in England and also in the US. The Dexter is a small breed with mature cows weighing between 600 and 700 pounds and mature bulls weighing about 1,000 pounds (450 kg). Considering their small size, the body is wide and deep with well-rounded hindquarters. Dexter’s come in 3 colors, black, red, and dun (brown). 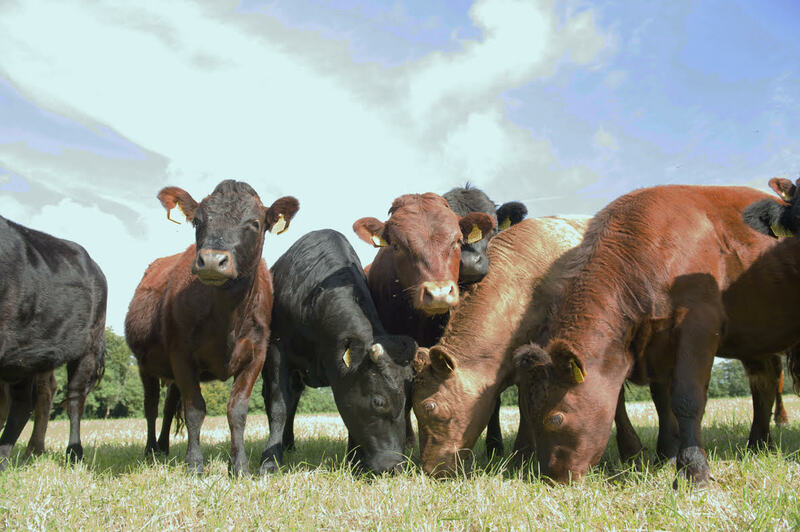 The breed is suitable for beef or milk production, although individual herd owners often concentrated on growing either one or the other. The most important characteristic of the Dexter meat is its taste and benefit to your health. The breed is pre-disposed to develop unique ‘spider’ marbling, and is high in CLAs, Omega 3, Omega 6 and Omega 9. People who first taste Dexter meat also find that they will eat half the volume of conventional meat. 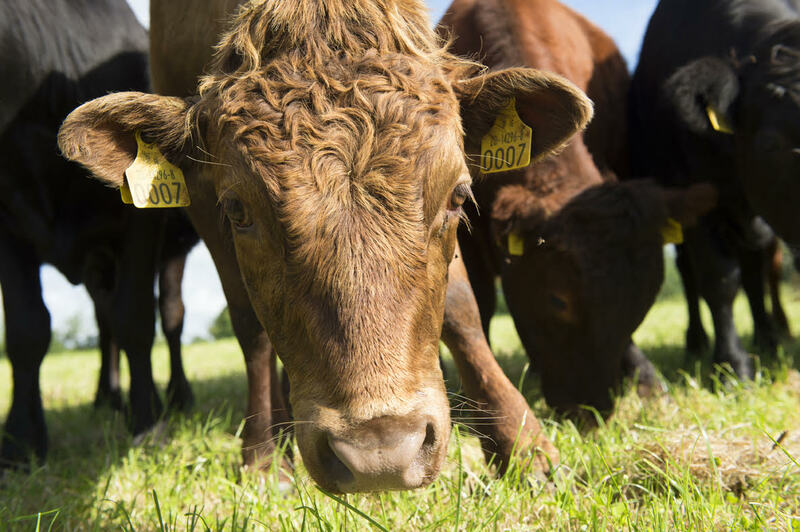 To order Certified Organic Dexter Beef from Featherfield Farm, or to find out more about Dexters, click here.